Quandel was chosen to serve as Design-Builder on the PPC Lubricants facility in Jonestown based on a solid reputation and previous work with similar projects. Time was limited on the project, and Quandel was able to implement a number of building strategies which allowed PPC to not only move in on time, but a full month earlier than expected. Quandel was also able to ensure that the final cost of the project stayed well below the Guaranteed Maximum Price. 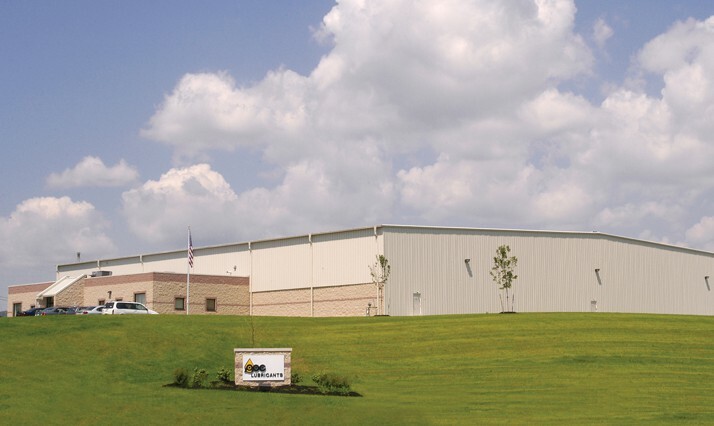 Additionally, due to the use of petroleum-based products within the facility, Quandel was required to adhere to strict DEP requirements, and a number of containment trenches were built within the building to accommodate dozens of large lubricant storage tanks. When Eldorado Properties decided to build our new facility, we wanted one firm to coordinate all aspects of planning, design and construction. I personally didn’t have much time to devote to the project, and PPC needed to make some critical decisions, considering we had multiple leases soon to expire at existing facilities. We settled on land in March and contracted with Quandel, as the Design-Builder, to have us in a new facility by December. We moved in over one month earlier than expected, enjoyed the process, and stayed below the guaranteed maximum price. Quandel stepped up to the plate and coordinated all aspects of our facility delivery. I wouldn’t change a thing.